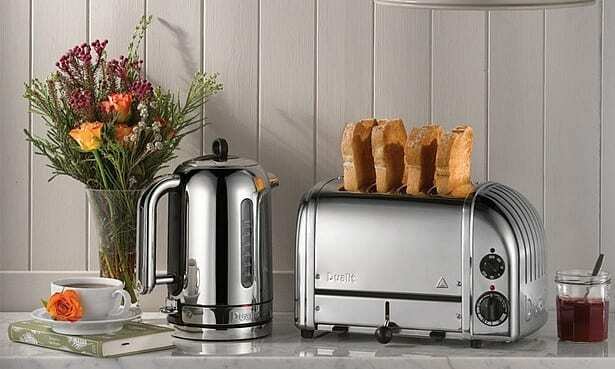 Dualit toasters are an in-demand designer kitchen appliance, but they can cost £100 or more. When you can buy a Best Buy toaster for £20 or less, is a pricey Dualit really worth the investment? With their distinctive retro look, there’s no denying that a Dualit toaster can add a touch of style to your countertops. 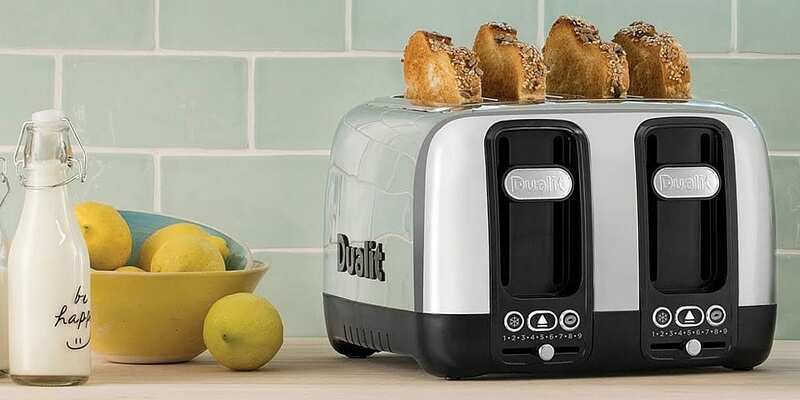 However, we’ve had mixed results from Dualit toasters: some are high-scoring Best Buys, but others are outclassed by much cheaper alternatives. We’ve tested all the main models made by Dualit, from the Classic range, still made by hand in the UK, to the newer Architect, Lite and Domus toasters. You can see how they compare with each other, and rival brands, in our independent toaster reviews. Over the past few years Dualit has been busy updating the inner workings of its main toaster ranges. We’ve tested the updated models, including the Architect and Lite toasters, which have just been re-tested for November. The new toasting elements have in some cases dramatically changed the toasting results. The problem is, it’s not always easy to tell whether you’ve got an old or new model as they look the same and the name is nearly identical. That’s why we include the specific model code we’ve tested in the name, and advice on finding the right version in our reviews. So do you need to search for older stock, or snap up the new version? Check our reviews to see which model makes the better toast, then make sure you buy the right product. Check the serial number on the bottom of the box to make sure you’re bringing home the right toaster. The Architect two-slice toaster has a more modern and minimalist look than classic Dualit designs, though you can customise the side panels to suit your tastes (£15 for a block colour or £25 for a designer pattern). You can choose from eight settings to get the browning level you like. There’s also a setting to toast just one side of a bagel, leaving a traditional doughy edge. However, it’s missing the reheat button you often find on toasters, so you’ll have to turn the setting down to quickly warm up a slice that’s gone cold. To see if the new model impressed in our tests, read the full Dualit Architect CAT2 toaster review. If you’re after a toaster for a hungry household, the four-slice Dualit Lite 4-slot DPP4 might be a better bet. It can cater for different tastes with its two separate sets of controls, letting you brown two slices more than the others. As well as eight browning settings, it comes with a defrost setting to heat frozen bread and a dedicated bagel feature to toast just one side. There’s also hi-lift lever, which means you won’t singe your fingers fishing out smaller items like crumpets or teacakes. It comes in several classic colours: black, red, cream or white. It’s full of features, but does the new version make perfect toast? Find out in the full Dualit Lite 4 Slot DPP4 review. 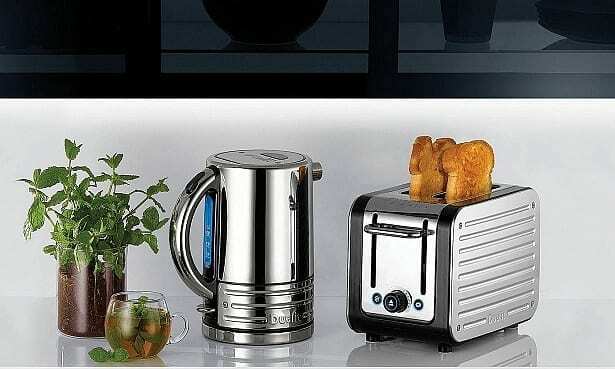 Perfect toasting tech – Dualit claims that its patented ‘perfect toast technology’, as found in the two toasters above, helps you to get the perfect evenly browned slice each time, as it varies toasting time depending on the temperature of the room, the toaster and how long it’s had to cool. Check your toast – the ‘peek and pop’ feature is another handy trick up Dualit’s sleeve. One for perfectionists, this allows you to lift up the bread to check progress without resetting the browning cycle, so you can get your toast done to just the right level. You’ll find this feature on both the Architect and the Lite and plenty more besides – though versions of it are also available from other toaster brands. Repairable toasting – if you can’t stand the thought of your expensive toaster ending its life in landfill then a Dualit Classic range model, such as the Dualit NewGen 2-slot, could be right for you. 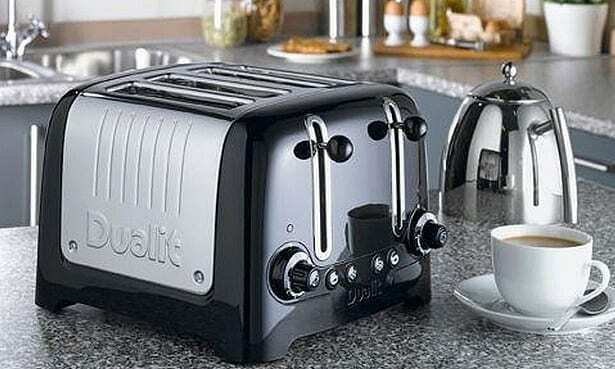 All parts are fully repairable or replaceable, which Dualit claims means these toasters ‘last a lifetime’. If your budget can stretch after shelling out for a Dualit toaster, you can also buy a sandwich toasting accessory for £11. These toasting cages are designed to fit in the wide slots of the Dualit Lite, Architect and Domus toasters, and could be your ticket to quick and easy toasties, without needing another gadget to clutter your kitchen. If your budget just can’t stretch to a Dualit you can still take home a well-designed, effective toaster that won’t let you down at snack time. The average cost of a Best Buy is £50, so you don’t necessarily need to splash out when the time comes to replace your toaster. In fact, we’ve found 11 cheap Best Buy toasters that cost £25 or less, so there’s plenty of choice even if you’re on a strict budget. To find the best option for your budget, see all our Best Buy toasters. These are all the most recent toasters we’ve reviewed. Follow the individual links to see the specific models, or head to our toaster reviews for to compare hundreds of current options side by side. *Prices correct as of 16 November 2018.